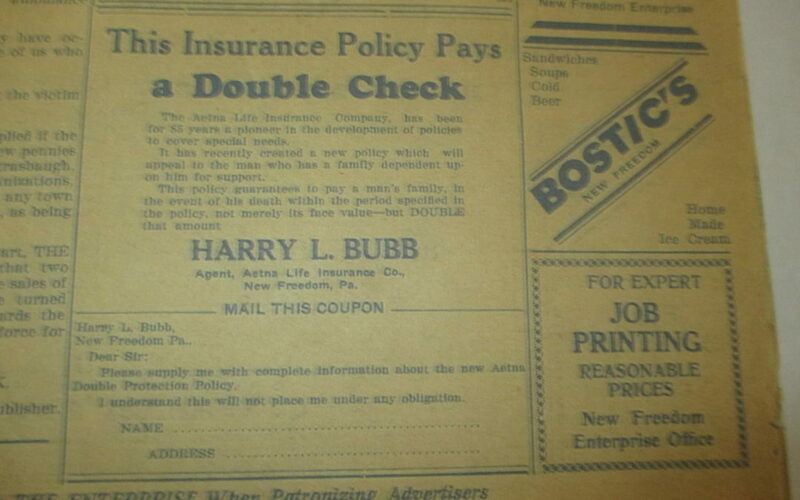 Check this Bubb ad from the New Freedom Enterprise weekly newspaper dated June 21, 1935. Our grandfather, Harry Bubb, would have been in business 9 years at that time. The ad refers to a “DOUBLE CHECK” which is used in some national advertising now! Thanks to Neal Panzarella of M&S Photo, Shrewsbury, for sharing.